Oregon is a northwestern state just north of California and west of Idaho. Bordering the Pacific Ocean, Oregon's landscape is a mix of beaches, forests, mountains, and farms. Oregon has become a cultural hotspot in the nation with its largest city of Portland home to microbreweries, farm-to-table restaurants, coffee shops, and local artist boutiques. Oregon is home to just over four million people and has become a regional art and music attraction for many. As a northwestern state, Oregon is on the opposite side of the country from the states most seriously affected by the opioid crisis. However, there is still great concern about opioid abuse, addiction, and overdose death. According to the Oregon Health Authority, the state topped the nation for its rate of nonmedical use of prescription opioids in 2012. Approximately 40 percent of all overdose deaths in Oregon involved heroin or other opioid drugs. Oregon is one of the very few states in the county which has not experienced an increase in opioid overdose deaths in recent years, amidst the epidemic plaguing the rest of the nation. According to the National Institute on Drug Abuse (NIDA), the 2016 overdose death rate in Oregon was 7.6 deaths per 100,000 people, well below the national rate of 13.3 deaths per 100,000 people. NIDA reports the current rate is less than it was in 2015 and that the number of opioid overdose deaths in the state has remained stable since 2013. Despite these low numbers reported by NIDA, the Substance Abuse and Mental Health Services Administration's (SAMHSA’s) 2015 Behavioral Health Barometer report indicates some troubling statistics about the youth of the state. The report indicates that Oregon youth from ages twelve to seventeen have higher than national rates of illicit drug use, binge alcohol use, and prevalence of major depressive episodes. 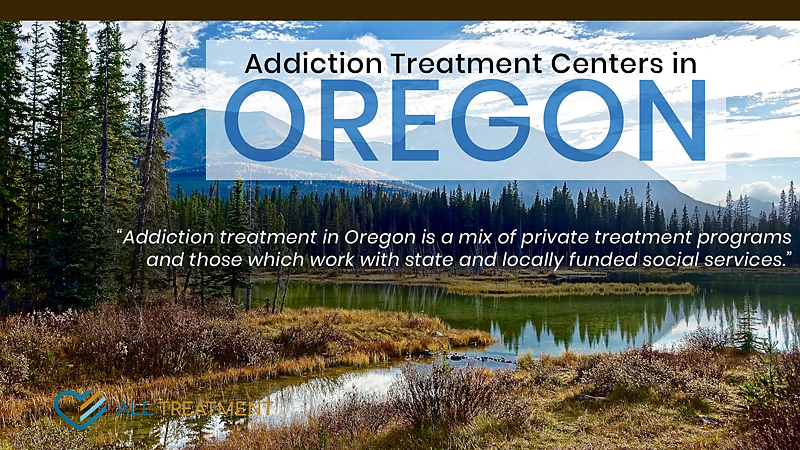 Addiction treatment in Oregon is a mix of private treatment programs and those which work with state and locally funded social services.